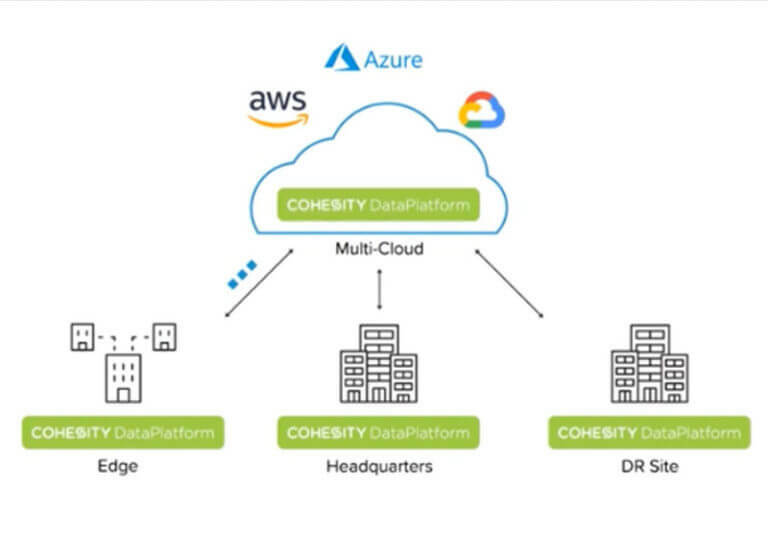 Cohesity simplifies backup and recovery on-premises, in the cloud and the edge. Eliminate data silos and do more with your data in a single web-scale platform. Use global Google-like search to find any file or VM. Instantly recover to any point in time. Accelerate your business with the cloud. Seamlessly integrate with Amazon Web Services, Microsoft Azure and Google Cloud Platform for long-term-retention, disaster recovery, test / dev, and cloud-native backups. Don’t let backup be an expensive insurance policy. Run applications from the Cohesity MarketPlace for compliance, analytics ransomware prevention and more. 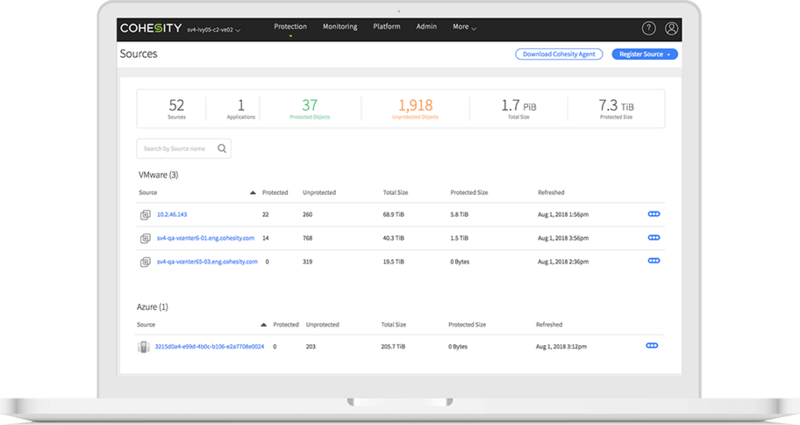 Cohesity has enabled us to shed the weight and challenges of our legacy backup environment and shift to a hybrid cloud solution, using a single Cohesity interface to manage all storage policies and our offsite backups in Azure.